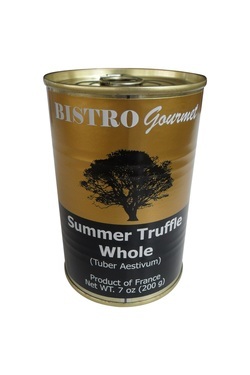 Whole brushed truffles: Tuber Aestivum. 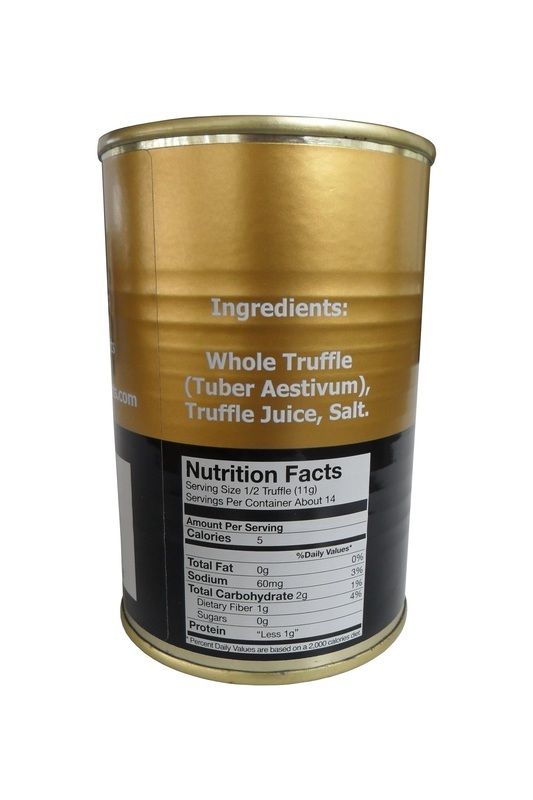 Black winter truffles (Tuber Aestivum), truffle juice, salt. 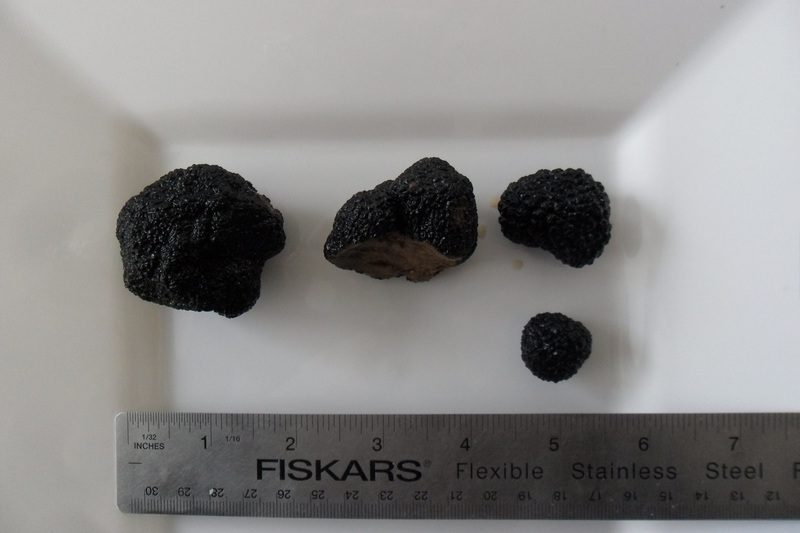 Size (in): L 15.35'' x W 9.45" x H 5.51"